The New Jersey-based UroValve has been granted Investigational Device Exemption (IDE) approval for their product, the Surinate Bladder Management System, which means clinical studies will begin according to this Press Release from Urovalve. Surinate is an ingenious urinary catheter designed for men who suffer from urine retention. 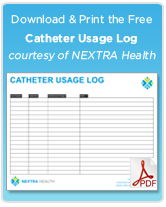 Urine retention can be caused from a number of conditions in aging men, the most common being enlarged prostates (BPH) which create urine retention, urge incontinence, and overactive bladder issues. Many men try drugs, incontinence products such as diapers and external catheters to help manage episodes. Men who can’t do these – or choose not to – will suffer through intermittent catheterization up to 6 times a day to drain their bladder. Surniate keeps an open flow from the bladder to the external sphincter (just below the prostate) with a valve system easily controlled with an external magnet. The catheter valves keep the flow turned off until the wearer uses a small magnet externally to “switch” the valve’s position internally, just below the prostate, allowing the urine to flow out. When the magnet is pulled away, the valve shuts again and prevents the urine from flowing out. 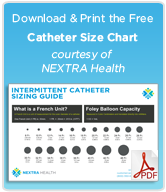 Less catheterization – The Surniate valve system can be work up to 28 days before replaced, as opposed to 4-6 times per day with traditional Intermittent/Foley catherers. Easier to Drain – The device allows one to function like normal; scheduling bathroom times and easily draining the bladder without unnecessary cathing and risk of UTIs and unnecessary discomfort. Where do I order one. Is this system available and has the testing been completed? Is the system implanted surgically? What happens after 28 days? How is it changed or managed? Is this system available through medicare? Are Urologists aware of this system? Self-catherization caused more UTIs and the Foley is the only option available currently. Because of the over prescribing of antibiotics for UTIs the person I am asking about has had C-diff twice and the effects are long lasting. We’re hoping for a better solution to the catheter issue. Please respond to the posted e-mail address.